Get to know more about Health Information Management (HIM). HIM is a leader in the collection, storage, and use of patient information within British Columbia. As a consolidated Lower Mainland department of Providence Health Care, HIM provides service to 42 geographically dispersed health care locations across Fraser Health, Providence Health Care, Provincial Health Services Authority and Vancouver Coastal Health. Approximately 1,350 staff working in one of five service areas: Registration, Records Management, Transcription Services & Health Information Exchange, Coding & Informatics, and Business Operations. Shelley Browne is the Executive Director for Health Information Management (HIM). As an accomplished health care leader, she provides strategic direction to the largest lower mainland consolidated service, employing over 1,450 staff. Innovative and visionary in her approach, Shelley has guided HIM in building a comprehensive engagement strategy with a strong emphasis on workplace culture while maintaining operational effectiveness. Having extensive experience in working with health information systems across the lower mainland combined with direct operational leadership positions, Shelley is well positioned to advance HIM forward in adopting new and emerging technologies. 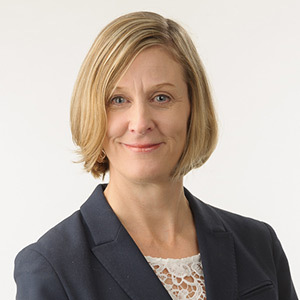 Known for her expertise in relationship management and partnerships, Shelley continues to seek opportunities to build on HIM's position as a leader in the collection, storage, and use of patient information within British Columbia. 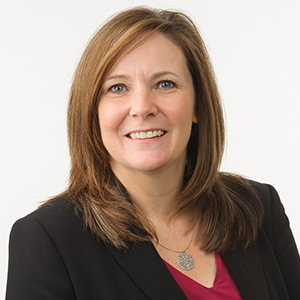 As a values-based Executive Director, Shelley emphasizes integrity, client-focused services, creating a culture of innovation and excellence, and a systems-thinking approach. Sharon Baigent is Regional Director of Records Management & Registration for the Lower Mainland area of British Columbia. Sharon is a certified Health Information Management professional with more than twenty five years of HIM experience in facilities in Winnipeg and the Vancouver area. She is currently responsible for sites throughout Vancouver Coastal Health, Providence Health Care and the Provincial Health Services Authority. Additional functional accountability for Records Management and Release of Information process and standards also includes sites in Fraser Health. Sharon is a member of the Canadian Health Information Management Association (CHIMA) and the American Health Information Management Association (AHIMA). Sharon served on the CHIMA Board of Directors for three years. As a member of the Health Records Association of British Columbia (HRABC), she served terms as President and as Chair of the Programme and Arrangements Committee. Always interested in expanding her knowledge in the CHIMA identified Domains of Practice, Sharon also obtained her Certificate in Information Access & Protection of Privacy through the University of Alberta. She currently acts as a subject matter expert on the Clinical & Systems Transformation (Cerner) project for Records Management. ‎Gerald Yu is a strategic results driven healthcare leader with an innovative center of gravity. As the Regional Director of Records Management & Registration Services (FH) for Health Information Management (Fraser Health, Providence Healthcare, Provincial Health Services Authority and Vancouver Coastal Health), he is responsible for providing leadership and direction in the planning, design, standardization, implementation and delivery of registration services. He also has operational accountability for delivery of records management services within the FH and PHSA Forensic geographic areas and for providing operational support for registration and records management information systems within FH. His previous leadership positions include Director of Coding and Informatics Services for HIM and Manager of Coding and Abstracting for PHSA Decision Support Services. Gerald holds a Master of Health Administration (MHA) from UBC, Green Belt (Gold Award) in Lean Healthcare Management and is currently a Stanford Certified Project Manager (SCPM) candidate. He is certified in Health Information Management (CHIM). He served as President of Health Records Association of BC from 2009 to 2011. 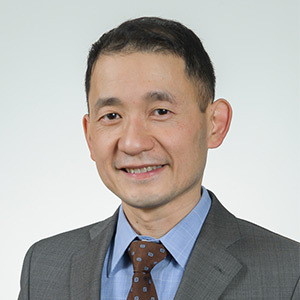 He is currently an advisory board member for the Health Informatics and Health Information Management programs at McMaster University. Naomi Brooks is the Regional Director, Transcription Services & Health Information Exchange for Health Information Management, a department of Providence Health Care. Naomi provides strategic leadership and is responsible for overseeing contracted and in-house dictation and transcription services across the four lower mainland health organizations. Naomi is dedicated to exceptional customer service and vendor relations that deliver consistent performance to standards and HIM delivery to ensure compliance with service level agreements. In addition, she oversees the delivery of systems support service for Transcription Services integrated systems including the development of strategies for systems deployment, upgrades, maintenance, training and service delivery. Naomi provides overall leadership for the Transcription data quality program and performance reporting, ensuring data quality measurement, standards and practices are consistent across the lower mainland. She anticipates major changes that impact services, and plans and implements mitigating strategies and supports the standardization of clinical documentation, business practices and customer support by ensuring work is aligned with broader clinical information strategies and provincial standardization inititaives. Due to new technologies and service model implementation, her portfolio has saved $7.9 million annually. Under Naomi’s leadership, transcribed reports are delivered to clinicians within an industry leading 2 days. Naomi Brooks is an avid performance-level equestrian in her spare time. ‎Monique Rasmussen is Regional Director, Coding and Informatics Services for the Health Information Management in Lower Mainland, British Columbia. She has nearly two decades of HIM experience in facilities in the Quinte region in Ontario and Vancouver area. Monique provides leadership and strategic direction for medical coding and abstracting services, and the Clinical Documentation Initiative. 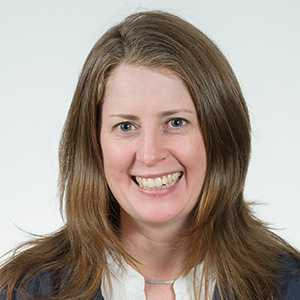 She is accountable for communicating priorities and implementing departmental goals, standards, and procedures for health care sites at Vancouver Coastal Health, Provincial Health Services Authority, Providence Health Care and the Fraser Health Authority. Monique has had a progressive and diverse career leading teams in Patient Registration and Records Management, focusing on a patient and family centred approach while maintaining operationally efficiencies. 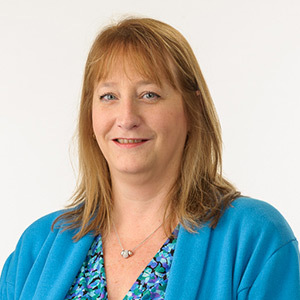 Throughout her time, Monique has spearheaded quality improvement initiatives and has been responsible for capital planning and managing operating budgets. Monique is a proud member of the Canadian Health Information Management Association (CHIMA) and the American Health Information Management Association (AHIMA). She is passionate about nautical travel and visiting the natural beauty in and around British Columbia and beyond.